This is not in any way a book about swimming but it is sort of about mindfulness, and it is a beautiful book. The author was diagnosed with a severe illness that kept her almost immobile for more than a year. During this time she was given a plant and attached to the plant was a snail. 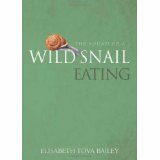 The book describes how her relationship with the snail develops. She watches it intently every day as her main and often only companion and becomes fascinated by its life and habits. I read this lovely book in one sitting and will never look at snails in the same way again. I finished it feeling that snails have both contributed far more and taken far less from the world than human beings. I also learned the wonderful term, miraculous spiral. This describes the type of spiral of which a snail’s shell is an example. Another term for it is logarithmic spiral and one of its unique mathematical properties is that the size of the spiral increases but its shape is unaltered with each successive curve. 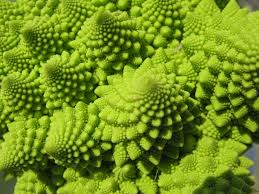 This property is called self-similarity and is also found in sunflower heads and Romanesco Broccoli. The book is an easy read and I would recommend it to anyone. 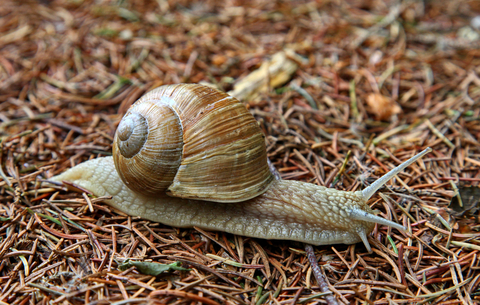 This entry was posted in mindfulness and tagged Elisabeth Tova Bailey, logarithmic spiral, Miraculous spiral, woodland snail. Bookmark the permalink.